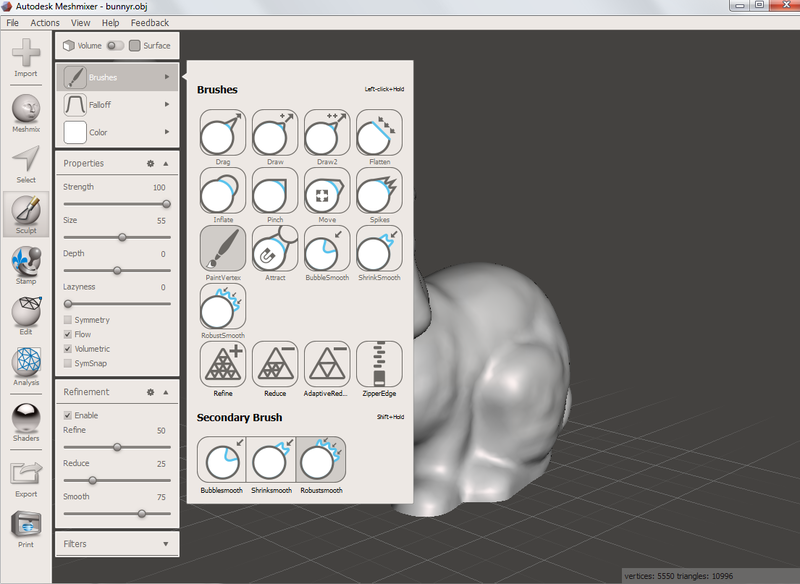 Meshmixer is state-of-the-art software for working with triangle meshes. 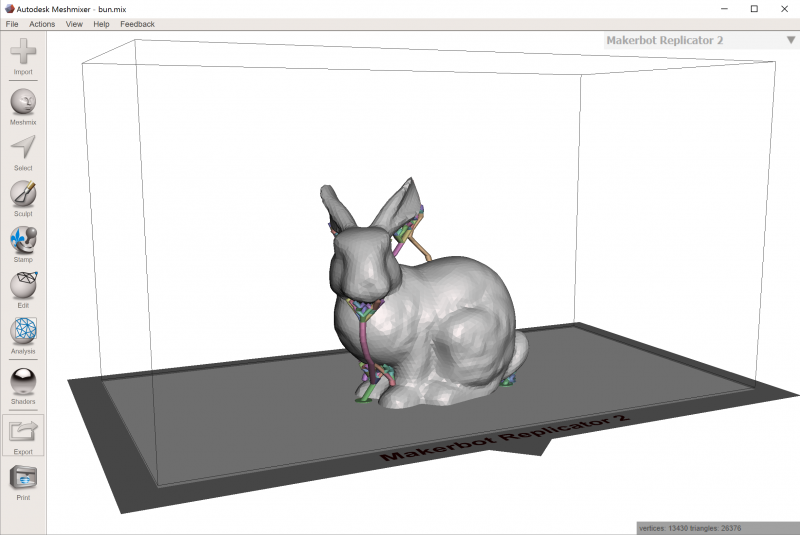 Do you need to clean up a 3D scan, do some 3D printing, or design an object that fits something else? 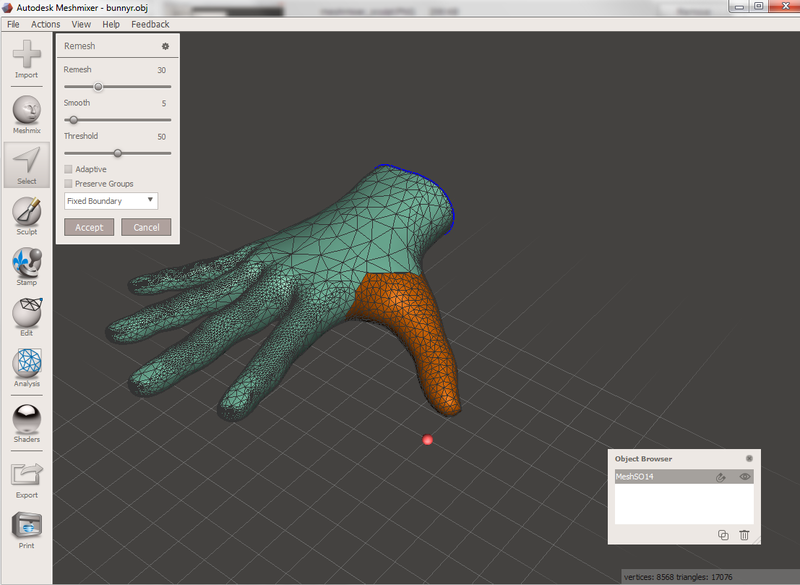 Meshmixer can help. Mash, mix, sculpt, stamp or paint your own 3D designs. Think of it as a sort of "Swiss Army Knife" for 3D meshes.